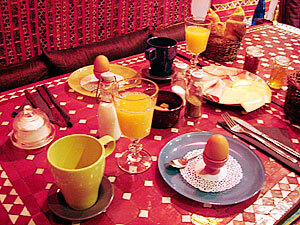 A delicious and healthy breakfast to start a new day. 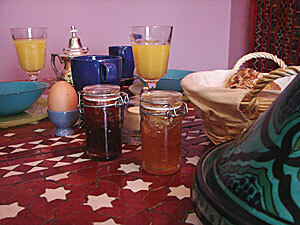 In our bed and breakfast you can enjoy your breakfast in tranquility. 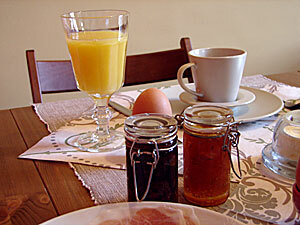 The standard breakfast contains freshly baked bread, croissants, choice of cheese, bacon and jam, egg, muesli, orange juice, coffee and/or tea, butter, milk and sugar... all ingredients provided for a self-service breakfast.